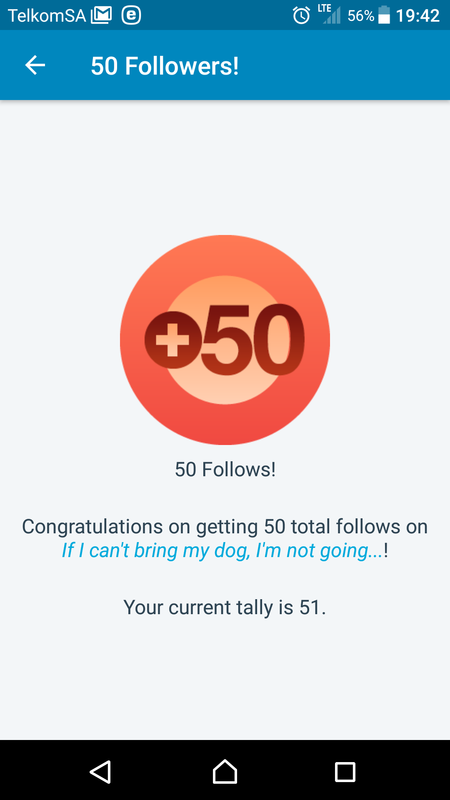 We have reached 50 followers on our blog! We are so very excited and thankful! This entry was posted in Accomplishment, dogs, family, pets and tagged dogmom, dogs, dogs are children, family, fellow bloggers, friends, friends of animals, furchildren, Johannesburg, Milestone, petfriendly, pets, social media, South Africa, support, we are all friends here. Bookmark the permalink. Congrats! The first 50 are the most difficult one! Maybe you could dedicate a post on your blog title? Thank you. I appreciate the suggestion…. Thank you so much! Happy to be one of them.